During National Teen Driver Safety Week, Oct. 16 – 22, Ford Motor Company Fund and Community Services has awarded $75,000 to Monroe Carell Jr. Children’s Hospital at Vanderbilt’s teen motor vehicle safety program, “Be in the Zone”. The program is spearheaded by the Pediatric Trauma Injury Prevention Program to increase awareness among teens about the dangers of texting and driving. Results from the 2015 National Youth Risk Behavior Survey (YRBS) show that the use of technology while driving continues to put youth at risk. 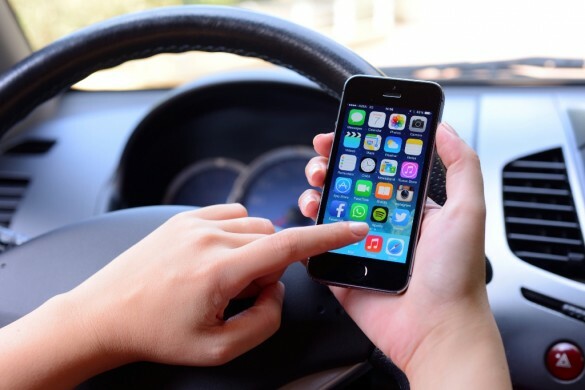 Among high school students who had driven a car or other vehicle during the past 30 days, the percentage of teens who texted or e-mailed while driving ranged from 26 – 63 percent across 35 states. Nationwide, 42 percent of students who have driven a car or other vehicle during the past 30 days admitted to texting or e-mailing. The Ford Driving Skills for Life program has trained more than 1 million individuals in safe driving practices. It is offered in 34 countries, and hands-on driving clinics have been conducted in all 50 U.S. states, Puerto Rico and the District of Columbia. This coming year, the program is partnering with 20 high schools across 13 counties covering more than 22,000 students: Jo Byrns High School, McEwen High School, Moore County High School, Clarksville Academy, Monterey High School, White House Heritage High School, Spring Hill High School , Marshall County High School, Macon County High School, Springfield High School ,Hillsboro High School, Summit High School, Hunter’s Lane High School, Clarksville High School , Brentwood High School, Riverdale High School ,Overton High School, Wilson Central High School , McGavock High School, and Lebanon High School They will compete in a yearlong competition to get the “no texting while driving” message out in their schools and community. The winning school will receive a cash prizes and awards. To learn more about the program visit http://www.childrenshospital.vanderbilt.org/teendrivers.